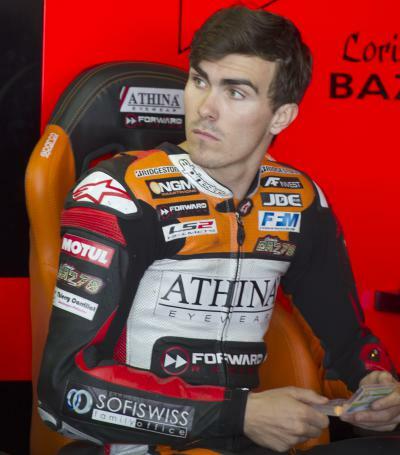 Loris Baz talks exclusively to motogp.com about his Open class win in Mugello and his season so far ahead of the Catalan Grand Prix. Athina Forward Racing's French rider currently sits second in the Open class standings with 10 points, six behind leader Hector Barbera. You took your first Open class win at Mugello, what was that feeling like? It felt great because we were building our performance at every race a little bit better. We had a really good race in Argentina, then struggled in Jerez, and we started to find the good way to set up the bike in Le Mans. We took second in the Open class in Le Mans, 12th overall, and in then Mugello, I felt so great all weekend! I love the track, everything went great, and I could enjoy the race at my maximum. I could also follow Scott Redding with the Factory bike for half the race. This felt great and I am proud to have won the first Open race for the team in Mugello, with all the sponsors present. 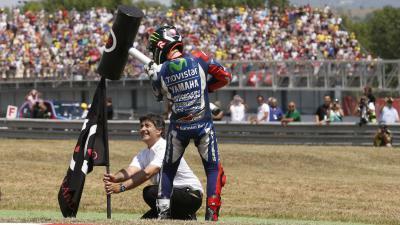 You know, Giovanni Corsani (Team Principal) is the only one who believed in me last year in MotoGP™. Not so many people wanted me to go into it, and he was sure that I could do something, so it was important for me to take this win at the Italian GP. It is just your debut season in MotoGP™ after making the move from WSBK, what has been the biggest change? The biggest difference has been the tyres; they make the bike so different! 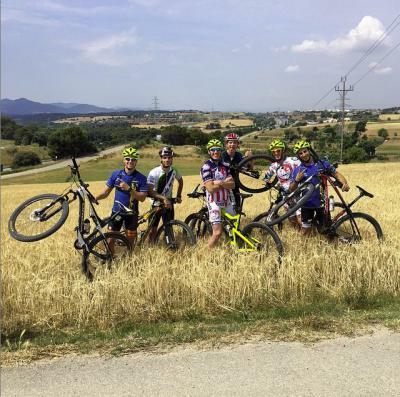 You have to change your riding style, the way you move on the bike, the speed you carry in corners and much more. It was a quite a big change, but I managed to make it step-by-step and with the help of the team. I now understand how I have to ride this bike. How do the two paddocks compare? Superbike was my second home. I was there from 2008, I had my friends there and I knew everybody. I love the ambiance in WSBK, but coming to MotoGP™ I was expecting something a little more cold. That is not the case though, all the riders are cool, we all talk together and it is a great paddock. 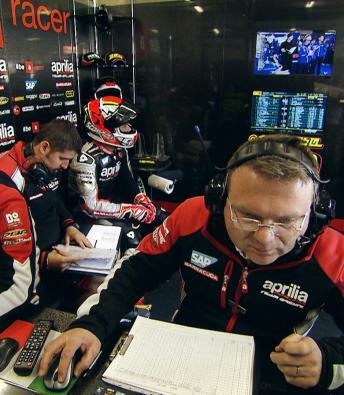 What is your relationship with your teammate Stefan Bradl? 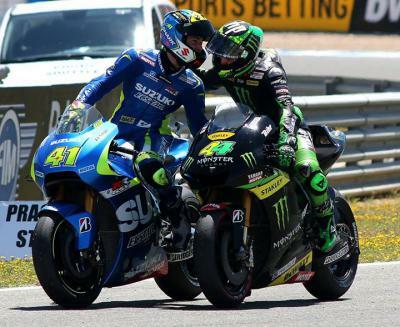 The relationship is very good, and Stefan is a great guy and a very fast rider. He has not shown his potential so far on the bike, and he has been a bit unlucky so far this season. I am sure he can score much more points than he has, and we have a great atmosphere in the team. We talk together and we try to improve the bike together, so it’s great. 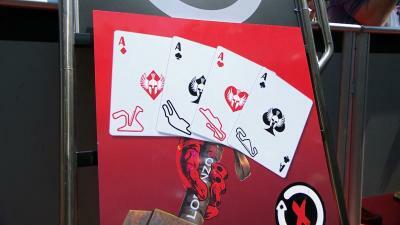 Does having your compatriot Johann Zarco doing well in Moto2™ inspire you? I am just doing my best, trying to win as many races a possible and giving it 100%. I do not think that looking at somebody else winning a race, even if he is from the same country as you, can make any difference to you. Everybody is doing their own job, but for sure, it is great for him and great for the French as a nation. In addition, with Fabio Quartararo and Alexis Masbou doing well in Moto3™ as well, and with Mike Di Meglio too in MotoGP™, it is a good time for France and I like it. Finally, what are your aims for the rest of the season? I am ahead of my target already this season, so now I just have to try to win again and score as many points as possible. I personally will try to be as a competitive as possible for the team and for everybody and just keep trying to enjoy the bike as I have been in the last two races. Get excited for the 2016 MotoGP™ season by reliving the moment Jorge Lorenzo made it four victories in a row at the 2015 Catalan GP. Lorenzo made it four in a row in Catalunya, while Viñales recorded his best ever MotoGP™ result and Marquez crashed out of the race. Alvaro Bautista found himself suffering from tyre wear at the German GP, but after changing his settings managed to finish in 13th. 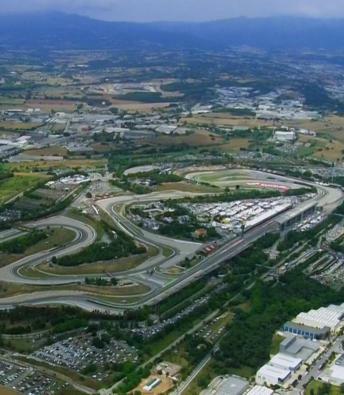 Taking the scenic route to the #CatalanGP! Mike Di Meglio is hoping to score his first championship points of the season at the Gran Premi Monster Energy De Catalunya. Eugene Laverty wants to build on his points scoring finish in Mugello last time out in an effort to challenge for the Open class title. 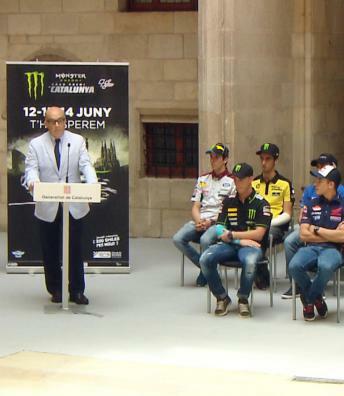 Pol Espargaro is looking forward to the “amazing feeling” of racing in front of his home fans at the Gran Premi Monster Energy de Catalunya. 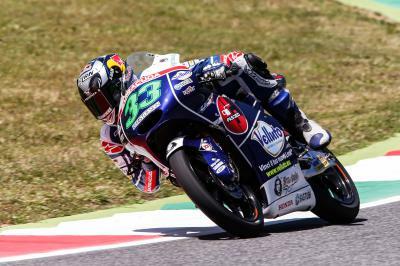 Gresini Racing Team Moto3’s Enea Bastianini is hoping to close the gap to Moto3™ World Championship leader Danny Kent at the Catalan GP. 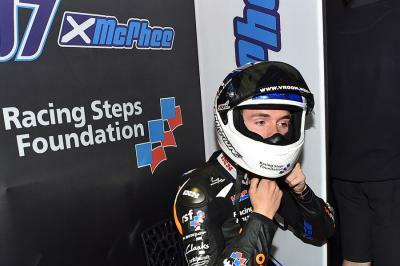 John McPhee is hoping that the extra work carried out at a private test this week will put him in good stead for the Catalan GP.